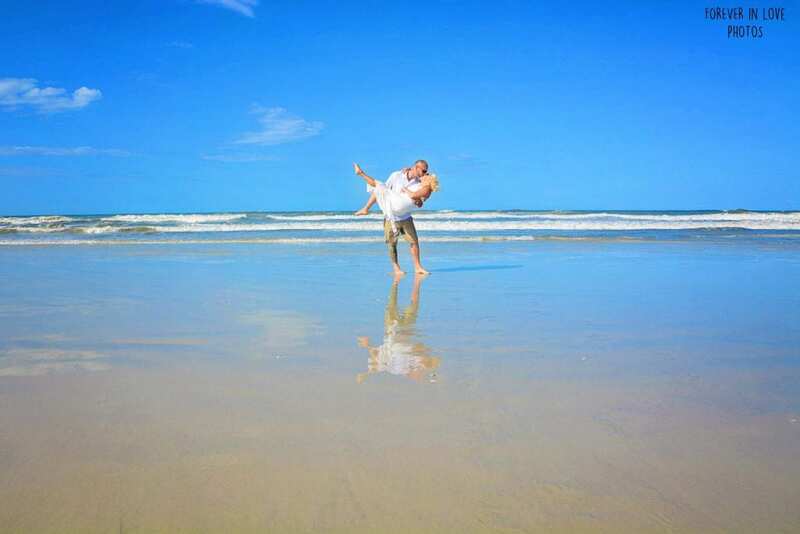 With our Weddings in Daytona Beach, you can have the ideal destination Florida beach wedding. Here are the top reasons you should have a Daytona Beach Wedding Ceremony with us. Weddings in Daytona Beach can happen behind your hotel. We recommend checking out The Shores Resort and Spa. Weddings in Daytona Beach are more affordable than any other city in Florida. With an abundance of hotel and restaurant choices you are sure to find something that fits your budget. Plus our beach wedding packages are the best price in Daytona. 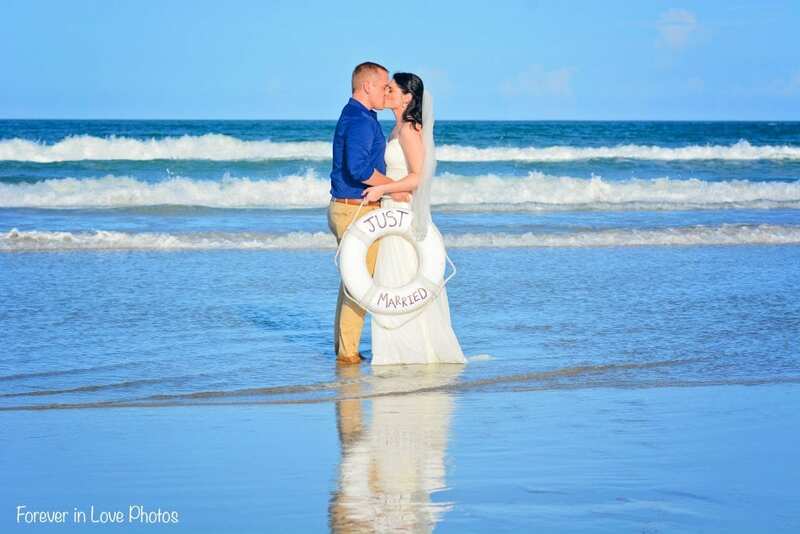 Some beaches have driving on the beach, if you have loved ones that may have a hard time getting to the beach, this is a great way for them to be able to easily make it your Daytona Beach Wedding. Weddings in Daytona Beach are only a short drive to Orlando, where you can enjoy world-known theme parks and fine dining. Weddings in Daytona Beach have an incredible setting for your destination wedding. With beautiful beach dunes, white sand, blue skies and white cap waves of the ocean, your pictures will be unforgettable. Check out our Beach Weddings in Daytona. All of our Florida beach wedding packages are available in the Daytona Beach area.